Tomorrow, November 2nd starts the next Giveaway we will be holding! 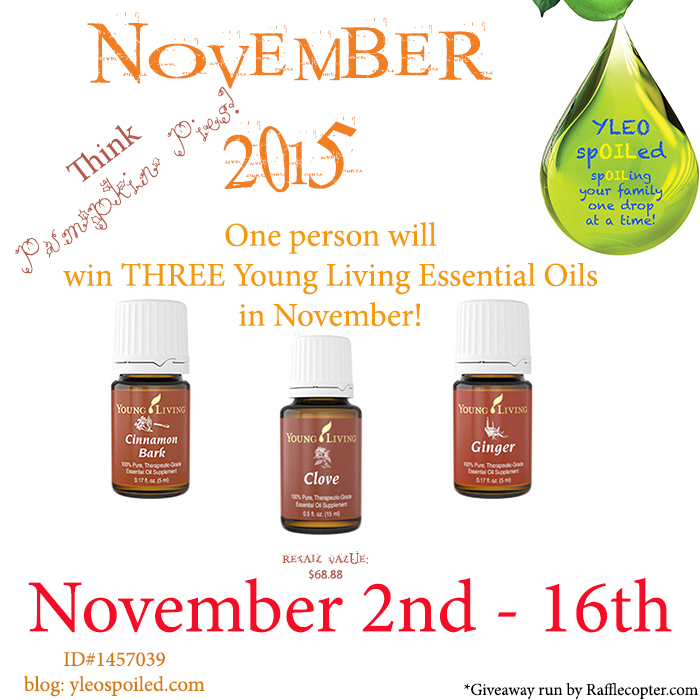 This one is pretty exciting because we are giving 1 person 3 Young Living Essential Oils! Come back at Midnight to register and then come back every day to get your free entry!